I have been consistently moved by the way this book is written. The book is written as if God is speaking directly to you. It is encouraging reading. Since God gave us the Bible to guide Christian life, and to tell His story of redemption I do not view this as a bad thing. Let the buyer beware, however. This book is not a Bible study. It is a devotional. Therefore Jesus Calling should b e used as a source of encouragement. It should not be used as one’s primary intake of scripture. If reading through the Bible daily is a meal, then Jesus Calling is a light snack. 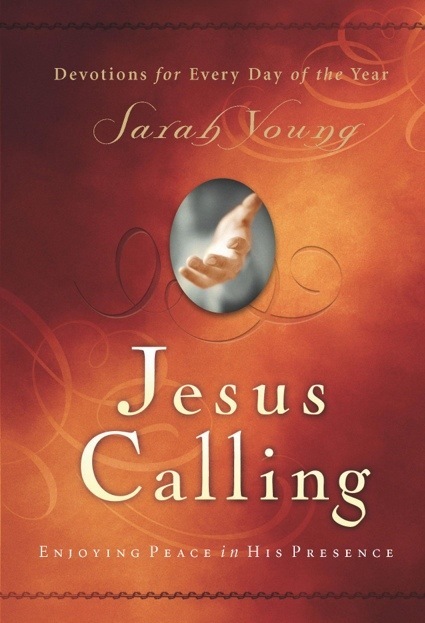 There is at least one writer blogger that says Sara Young claims the book is inspired. I have not been able to substantiate these claims. So, I’d say decide for yourself. If you’d like to read an encouraging book that is based on the Bible, as a daily devotional. This book is very encouraging. I just won’t use it as my primary study of scripture. Aside from the book. I love the way the app works. It shows you the passage for the day, and reminds you read. Neato, spiffy.